There is a need for an interactive model in e-learning courses. By integrating videos in the e-learning courses students can not only grasp the things easily but it also makes the content visually attractive. * Videos should be used to depict behavioral skills: There are times when it is very difficult to explain things to students especially when you want to teach them about body language and other soft skills. In such scenarios, videos can be best option. These skills need to be seen to understand rather than reading them. Moreover; videos make the content very attractive and visually appealing especially if the course requires practice to master. * Videos should be short and to the point: Always bear in mind that your target audience does not have the patience to see a full length feature film. It is always advisable to break the length of the video to less than 3 minutes. Try to keep the introductory video short, so that it captures viewer’s attention. If you wish to integrate audio podcasts to the content it usually can be of a maximum 10 minutes. But it has been observed that viewers normally tune off from the content after initial couple of minutes. Hence, the success formula for integrating videos is shorter is better. * Videos should integrate different social media tools to make it interactive: Give an option to the audience to offer feedback or post a comment on your videos. This will make them think about various suggestions and questions that they have on that particular video. You can also add questions and quizzes on the basis of the video content. If you integrate various social media tools to the video it will make it easier for the viewers to post the questions to their colleagues and get relevant answers to the questions. They can even taken the help of experts to learn more about that subject. E-learning has taken over the globally. Students are now able to learn without any limitations of geographies and continents. In this article; we look at different methods which make e-learning a running success. * Take regular guidance from your teachers: E-learning courses provide variety of options to the students. 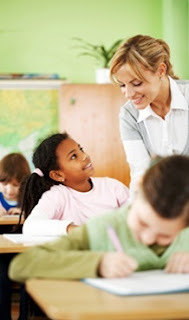 It is very important for the students to take use of the guidance from the external teachers. You can ask relevant questions through email and clarify your doubts. You can even call the teachers. Teachers are always available 24 x 7 to help you on assignments and solve your problems. * Meeting deadlines for projects: You should be able to meet all the deadlines for the projects just like the traditional educational setting. Projects will have a deadline to be met otherwise you will not get credit for the courses. * Basic requirement of computer knowledge: E-learning courses are conducted through computers. Hence, it is very important to have the basic knowledge of computers. If you can send emails then taking an online class should not be a problem for you. The courses are designed in such a manner that the students can easily access their favorite topics in courses immediately. E-learning courses are in huge demand recently. But lots of these courses are not result-oriented. Hence; in this article; we look at some ways to get result-oriented education from e-learning courses. E-learning driven by budgets is concerned with creating courses according to the budgets set by the company. It cannot be result-oriented because the focus has shifted from providing quality education to target-based education. Knowledge cannot be delivered with constrained limitations. Education is all about creating awareness amongst students about various courses and imparting quality education to them. A result-oriented e-learning pattern can be very useful as it utilizes quality content to impart knowledge to students. * E-learning should symbolize the characteristics of your brand: It is often said that “A product is as good as the brand name of the company”. Hence, it is very important to have a sync between the brand name of the company and the product i.e., in this case it is e-learning course. If the brand name and the e-learning course are not in sync then it will be very difficult for the company to market the e-learning course effectively. * E-learning is all about creating managers and leaders instead of followers: E-learning courses create right beliefs, decisions and behaviors in employees. It also about changing the behavior of the employees and making them self-reliant in decision-making process. In corporate world, it is very important to take quick and efficient decisions as time is prime importance. Hence; by solving real-life case studies students can learn about practical problems that they will face in the near future. Until and unless you create interest in the minds of the students for the subjects it will not serve the purpose. Hence; you need to make them emotionally involved in the course and create genuine interest that will help them solve the problem. It is all about aligning e-learning outcome with your learner’s outcome. Digital learning has become one of the trending topics in the education sector. 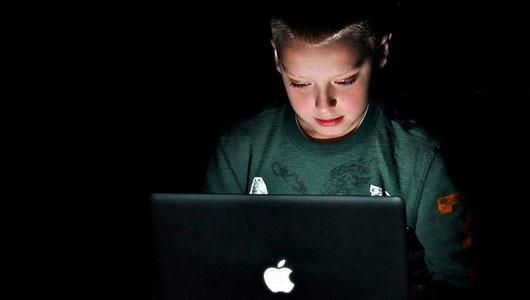 In this article; we look at some of the reasons signifying digital learning success for present and future generation. * Focused on providing quality content to the students: Traditional education system puts lot of stress on the need to get good marks in exams rather than making students understand the subject thoroughly. E-learning differs in this regards. It not only provides quality content but also gives freedom to the students to learn their selected subjects at their own pace and time. With the practice quizzes and evaluation process students can regularly check their progress and continue to work hard thereby achieving excellence by devoting quality time. Teachers can provide instant support to the students by being there with them through chat system. It also makes it easier for the student to get their queries and concerns resolved instantly without wasting much time. Hence; Digital Learning has given a tremendous impetus to online education. * Focused on providing future learning mechanism: Digital learning is the future of education. It will provide a great impetus to online education. By starting the learning process through digital media at a very young age students can prepare themselves to join the 21st century workforce and academic world. * Focused on providing competitive education to students: As the number of families continue to grow in USA the number of online courses will increase. The families can select the relevant courses that are best fit for the child. E-learning programs also continue to improve gradually so that competitive education can be provided to the students. * Focused on providing higher level of accountability for students: E-learning courses in USA provide higher level of accountability in comparison to traditional courses. For example; by law every student enrolled in an online public school has a written student learning plan that outlines the success steps for him or her. If the online learning course does not fit a particular student they are shifted to another school. Schools are accountable for the students and parents. * Focused on providing ubiquitous access to the students: Online education is not restricted to location, socio-economic status, learning level etc. The only thing required is an internet connection. Online learning helps students to access a world-class education. Rural students can also take full advantage of e-learning courses and can also offer multiple foreign languages. Children are the future of human mankind. Hence; it is very important to boost the working memory, which is an integral part of brain development process for children. In this article; we look at different activities which can boost the working memory in children. A well known scholar once said “A good memory is like a bagful of gold.” Therefore it is very important to build the + memory of children in their formative years. Working memory stores crucial information, while other material which is taught in schools forms the foundation for complex skills and knowledge. Children are very innocent in their early days. Hence, they can retain lot of information in their brains. A child who has poor working memory will find it extremely difficult to take on activities and face problems in learning. A recent research claims that memory deficits, if not found in early childhood can lead to extreme conditions; that can affect the academic performance of the child. Kim’s game: This is a very popular game played by young kids that provides memory building exercises for them. It contains various selections of objects and number of words. These things are displayed to the child and then the objects are covered up. Kids then have to determine which item has been removed. This game can be played with different sets of objects. Repetition: This activity ensures that children retain information for both short term and long term memories. It consists of reciting times tables, test questions and regularly viewing vocabulary cards. Study shows that with regular retrieval practice the child’s memory can be increased substantially. Number and letter sequences: If you want to teach your child a foreign language then number and letter sequences is a very probable answer. It comprises of short number sequence and then gradually builds up digit by digit. The child then gets a minute to revise it after which the number sequence is removed completely. The child then has to recall as much of the sequence as they can. This process is repeated for letters. E-learning courses have provided a great impetus to some of the future trends in e-learning industry. Some of these trends have been mentioned in this article. Digital delivery: Paper books will lose their importance as the time goes by. Electronic books will be available online with reliable, valuable and up-to-date information. We are already seeing various websites providing digital content to the students. For example; Khan Academy provides various you tube videos that teach everything ranging from calculus to French Revolution. Open source movement has pushed online content to include learners and educators in the actual content creating process. Various open source websites like Open Educational Resources, Connexions, CK12 and Scitable are working in collaboration in their expert-written content. Interest-driven: Recently a trend has started wherein; online courses are tailor-made as per the requirements of the students. The main idea is to build up courses which interest the students. This will encourage students to study harder and get passionate about the specific courses that they select for studies. In future; you may see students devising their own content and devising their own curriculum. Skills 2.0: As technology has advanced, the 21st century skills are being taught in schools. It includes things like: collaboration, innovation, critical thinking and communication which are of great importance in the practical world. Hence; these things are integrated in the e-learning courses so that students get exposure to the outside world and when they are fully prepared they can plunge into the corporate world and showcase their talents in a better way. E-learning courses are meant to provide enchanting learning to students. Hence; these courses need to be designed according to the requirements of the students. With the advancement in technology, e-learning education has received a tremendous boost. In this article; we look at some of the trending concepts in e-learning education. SHIFT TO OPEN SOURCE TECHNOLOGY:Learning Management Systems (LMS) have traditionally been a paid service. But with time there are lots of new open source systems like OpenClass have come up which have received a warm welcome from students and educators. Key integration of e-learning courses by employers:E-learning courses have not enjoyed popularity amongst students and career oriented employees; as the certificates for the courses are not regarded as a valuable thing in the job market. But as the popularity of e-learning courses increases with the number of masses this perception will change. Assimilation of hybrid courses: Different types of courses have been developed with the assimilation of online education along with face-to-face teacher interaction. This type of education is revolutionary and can change the paradigm of online education system. Excellent growth in enrollment of e-learning courses in comparison to traditional courses: Enrollment of e-learning courses has risen to 21% growth rate in comparison to a paltry 2% growth rate in overall higher education. As the technologies grow; you can expect the rise of e-learning enrollment at the same pace. Increasing use of social media tool for education: Social media is often regarded as a tool for masses to interact with friends and be in touch with them. But recently the trend is changing. Increasingly social media tools are being used for educational purposes, and this will enhance the quality of the entire online educational system. Digital content distribution in lieu of books and closed texts: For e-learning courses; textbooks have been replaced by digital content distribution system. It gives freedom to students and professionals to get the relevant information through various mobile devices. E-learning can be an extremely useful medium for students and employees to gain knowledge. In this article; we look at different techniques that boosts e-learning. E-learning courses are in demand. These courses give freedom to students in gaining instant access to the courses. They can even study at their own convenient time. These courses can be distributed internationally thereby attracting wide spectrum of audience. Content is the king in e-learning business hence; there is a constant need to update the content. Note-taking: Take hand-written notes while studying online. This will prove to be extremely useful in remembering the notes. Take a short break and return to write the notes. Always add information that you think is useful, that can help you remember from the notes. If there is something in the notes that does not make sense then re-read the notes. Try to find out the information that is missing. Probe further and ask in-depth questions. Preview: Once the note-taking process is over, the next step is to preview the content by reading titles, sub-headings and diagrams. Always try to study the patterns in the content. If it is well-drafted, it becomes easier to find one or more patterns. If the synchronization between the titles and the notes is missing, change the title appropriately. Read the introductory and concluding parts of the notes. It will help you in calculating the reading pace, time needed to read the content and effort required to learn the content. Environment: It is very important to take regular breaks while studying online. As you are constantly reading from the computer screen it becomes very tedious to focus for a long time. If your eyes are getting stressed out, take a short break and then use special eye drops for reading on computer. Always remain in relaxed position so that the eye contact is directly on the computer screen. This will avoid stress on neck and shoulders and you can then concentrate for a little while longer. E-learning can be useful when students study with a relaxed and open mind. The current education system has become stagnant and needs a tremendous boast to get the relevant interest of the students. Hence; in this article we have specified some innovative strategies to take K-12 education to another level. Click here to view the article. Education has become a mere formality nowadays without any impetus on providing learning to students. We are seeing lots of e-learning courses being developed, but the sole purpose of education is lost. There is a need for an educational structure that can not only provide better learning opportunities to students, but also stimulate them to gain knowledge from the subjects. In order to fulfill this prophecy, there is a need for an educational mechanism that can transform the thinking of the students to another level. The transforming role of teachers: Teachers are more than just tutors in the lives of the students. They function more like mentors who are liable for making or breaking the career of the student. Hence; there is a need for an e-learning course which can not only provide interactive support to the children through one-on-one counseling, but also look after the academic progress of the student. Teachers should deliver the content in such a manner that students enjoy the learning process and get the intellectual knowledge thoroughly. The evolving role of tests: In the traditional learning methods, teachers used to take tests of the students. But with the inception of e-learning courses things have changed dramatically. Now, no longer does a teacher take test of the student to evaluate their progress. It is done through online practice. Hence; there is a need for a practice management tool to be integrated in the e-learning courses such that students can practice basic problems to understand the topic. Interactive exercises should also be amalgamated in the e-learning courses so that they can make the learning process interactive and fun-loving. Need for customized learning path for each student: It is very important to create customized learning patterns for students based on their intellectual capacity and understanding. The courses designed should follow the common core curriculum and state boards. Guidance from experts from relevant field: In order to be a success, it is very important for an e-learning course to integrate expertise knowledge from relevant domain so that whenever, students get stuck they can get spontaneous response from the expert of that particular field. It should also be noted that there should only be one tutor per student so that the student can enjoy undivided attention from the expert. Integration of images alongwith videos in the content: E-learning courses have to be designed in such a manner that students get interactive content including lots of images and videos; so that they can learn in a fun-filled environment. This kind of teaching pattern is especially important for primary level students as it makes the learning process interesting and interactive. Lots of e-learning courses have come up recently. These courses give valuable options to the students and professionals to get higher education and build a bright future. In this article; we look at the reasons exhibiting the importance of e-learning. Technological advancement has made the entire globe a tiny place where we live in. We are already seeing the impact of globalization in education. Students are no longer restrained to classroom education. They can now learn at their own pace and time. 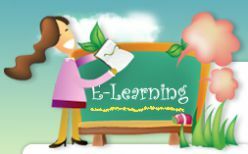 E-learningcourses are not restricted to education but they are also beneficial for corporate trainings and businesses. These courses have been created with specific e-learning solutions like Learning Management System (LMS). A good LMS includes various collaborative e-learning tools that provide speedy, effective interactions and creates a synchronized learning mechanism for the trainers and learners. 1. Increasing demand for higher education: Education has become a key criterion for career expansion. We have already seen increasing demand of professionals for higher education; and distance learning has become a boon for these executives. With the help of selected e-learning courses, students and executives can now pursue professional courses online with greater ease. Professors and trainers can also conduct virtual classrooms and online trainings in a better way. 2. For better information dissemination: E-learning is extremely important medium for better information dissemination. It also makes learning more complete and well structured. 3. Easy to learn and take tests at your own convenience: With the advantage of global classroom environment, students can now learn at their own pace and convenience. They can even choose courses as per their interests and take standardized tests to evaluate their grip on the subjects. E-learning courses provide tremendous opportunities to professionals as they can now aim for higher positions by opting for online courses. These courses also provide a basic outline of the topics which gives students an opportunity to revise the topics thoroughly, and prepare for the exams. A proficient e-learning course provider will always try to create courses according to the needs of the target audience. It is also very important to consider end goals that you would like to achieve to get maximum results from the courses. E-learning courses have seen a downward trend in recent times. In this article; we look at several misconceptions and realities associated with e-learning courses. Myth: Quantity is as significant as quality. Generally e-learning is priced according to the volume produced. Even customers are concerned with the volume of content rather than the quality of the content. But this is not correct. Reality: If the e-learning course is designed taking into consideration quality of the content, then the same course can get reduced by a considerable margin. This will ultimately result in saving of time. The employees can then concentrate on their work and learn through practical case studies provided in the e-learning courses. Myth: All the content is important. Lots of times customers feel that all the content is important for the e-learning course. However, that is not the case. Reality: There is no guarantee that everything displayed in the course will be understood and recalled by the student. Hence; it is important for the customers to understand that all the content is not required for the course and only the important parts that comprises of major learning needs to be integrated in the course. Content should be designed keeping in aspect different things like: usability approach, frequency, importance and type of use etc. Once these aspects have been decided then the content is prepared keeping in focus the training, reference material and things to exclude from the content. Myth: E-learning is just a course. Most of the customers believe that e-learning is merely an electronic textbook that replaces classroom training. That is not true. Myth: Things will become easier once the technology improves. There is a common belief that e-learning is falling behind because of the current state of technology. There is always a hope for a miracle cure round the corner but the major problem is the level of training at the level of delivery. Reality: Lot of time is devoted to understand the content management and training approach which will never go away. This does not mean that improvements in technology, standards, and theories will not help but it will not cure the current problems faced in designing e-learning courses easily. Myth: E-learning is easy. Clients believe that they are paying for simplicity. But is it so simple to make the complicated subject simpler? Reality: Clients often expect simpler solutions to complicated ones. But e-learning has always been more about making complex things clearer and simple. Myth: E-learning provides one-time quick fix solution. It is often believed that e-learning provides quick fix solution to practical problems in real time. However; that is not true. Reality: It really takes time and energy to develop content for the courses in accordance to the target audience. E-learning courses give practical exposure to the students. With the help of these courses; corporate executives can learn to solve practical problems faced in the organization. An efficient e-learning course provider should take these points seriously and create a proficient course that meets the needs of the target audience. Digital learning is advanced ways of making the students learn in an interactive way. Many schools are bringing in the latest methods of learning to make the students learn after their school hours. Technology has drastically changed in the recent years and also has developed mew methods in the education field. It is helping people learn in a new and interesting way which has probably changed the teaching methods in many schools. 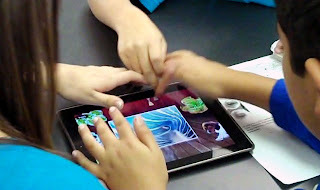 The new interactive learning concepts have made people learn even with a small device. 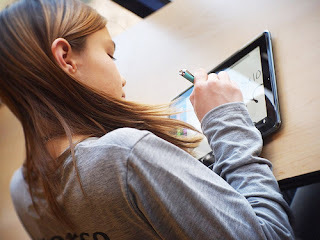 Digital learning is possible beyond the schools through the electronic learning concept. Many educators around the world are unaware about the latest technology. They help them to make kids learn very easily along with the practical knowledge. The organization’s community is very much keen to develop the digital learning method in the schools after their school hours to let the kids gain extra knowledge. It helps one to create live models about various subjects to give a live demonstration about the subjects. Also the e-learning methods allow kids to educate themselves anywhere with just a mobile learning device. The youth staffs would know the technology very well and also can handle the e-learning technology well. Many of the organizations are unable to help their individuals to learn through the digital learning concept due to the lack of the infrastructure and staff facilities. But the e-learning concept is now being spread and is being incorporated in every institute to benefits the students. The digital and e-learning concepts support all the electronic form of teaching and learning techniques. 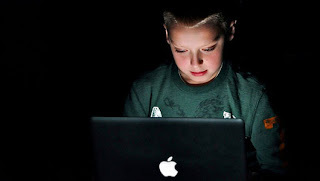 The basic need is an electronic device connected to a network and anyone can start using the digital learning the service. The web based learning technology allows one to get details about any subject and also upload their piece of knowledge to let other people learn. Apart from the advantages it also has many drawbacks. The technology is changing and hence the already running systems need to update their old technology. In many cases the devices go obsolete and cannot be configured with the new technology. Also when a new technology is introduced its cost may be very high which cannot be used by all the institutes. There are also security and privacy issues along with the outdated equipments. These are the reasons why the e-learning and the new learning concepts are not yet widely accepted by many of the organizations.